I still remember the first time I’ve seen pictures of T u l u m – There was something about this place that directly fascinated me. And after spending a little over a week in this colorful place at the Caribbean coast of Mexico, I completely lost my heart to Tulum. Before we headed home I took Alex`s hand asking him whether we could come back one day and he smiled at me telling me that he feels positive about that. 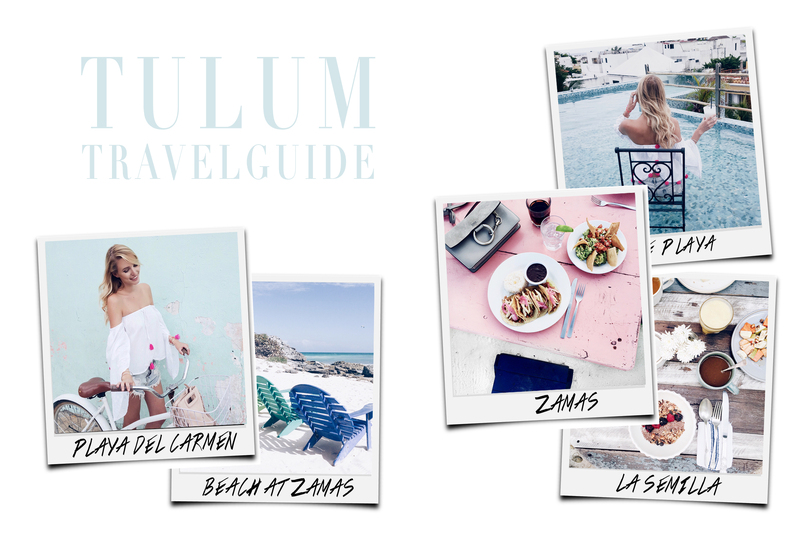 Are you looking for a romantic place to head to with your boyfriend, a fun place for a girls trip or even a place you could go by yourself to get some inner peace – Tulum is your place to go. 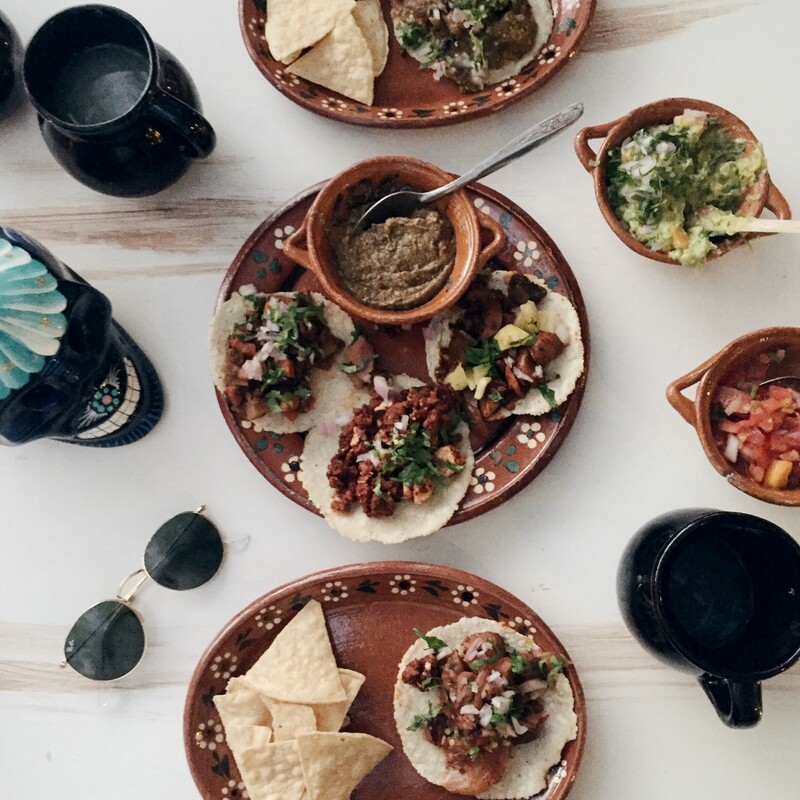 HOW TO GET THERE: The best way to get to Tulum is by flying to Cancun. 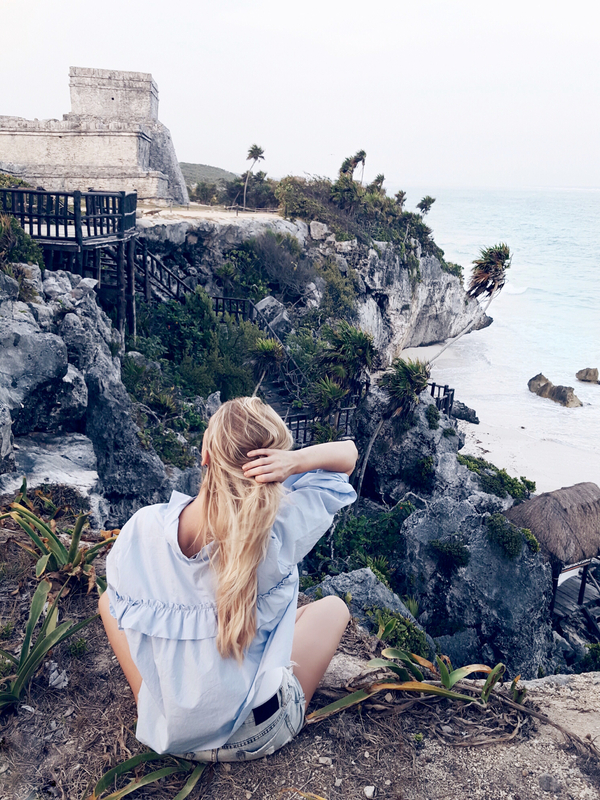 As Cancun attracts the spring break kind of crowd and I’m more the explorer type, we directly headed to Tulum. You can easily rent a car in Mexico but we decided to explore Tulum by bike. Therefore, we had booked a one way shuttle which picked us up at the airport and took us on an approximate 2 hours ride to Tulum for about 100$. There might be less expensive transfers but since we had booked at the last minute, we happily used the transfer our first hotel organized for us. The official currency in Mexico is Mexican pesos but almost all places accept dollars and even in the more remote quarters of Tulum you can always find an ATM that dispenses both currencies. WHERE TO STAY: When looking up hotels for my Tulum trip, I directly noticed that some booking websites had a little tag saying “The real heart of Tulum” next to some of the hotels. First I though it was a recommendation pointing out hotels that were centrally located. But than a friend of mine who had been to Tulum before gave me a little lesson on Tulum geography: Tulum is not just Tulum. You have Tulum city, which is an authentic tiny Mexican city, and you have Tulum beach, where all the hotels and restaurants are located. You can easily drive to Tulum city by bike but make sure to stay at Tulum beach. 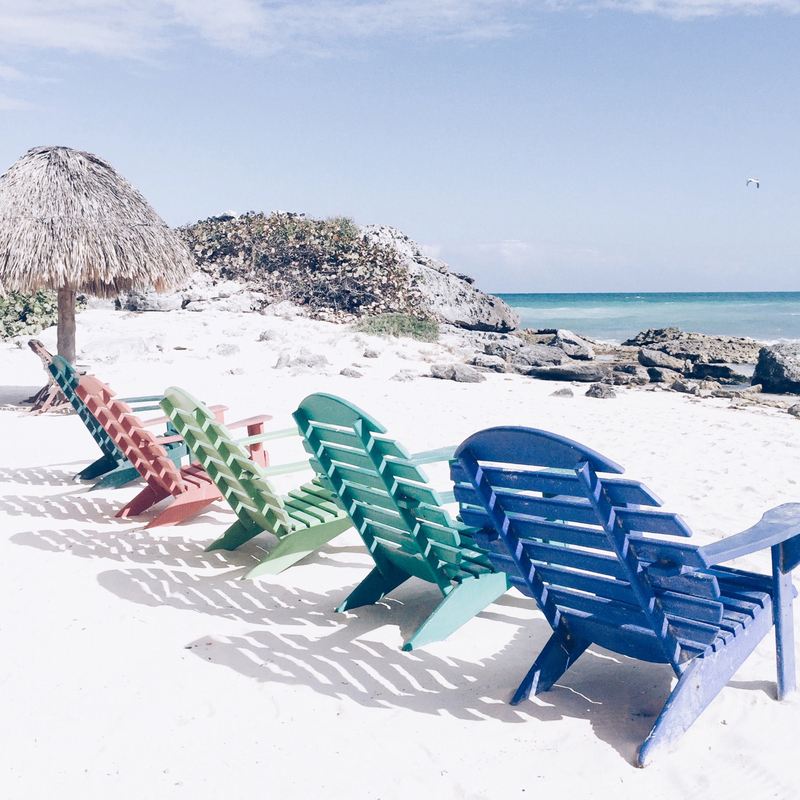 Everything you’ve probably seen online or on Instagram was most likely shot at Tulum beach. 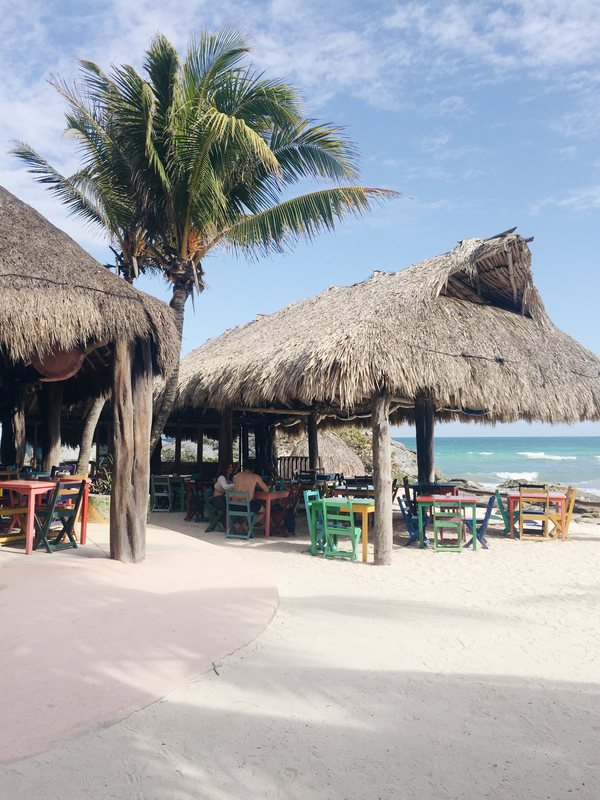 Tulum beach is the main road and it’s only a few kilometers long but still, there is so much to see: little restaurants and ice cream shops and some really adorable resorts. 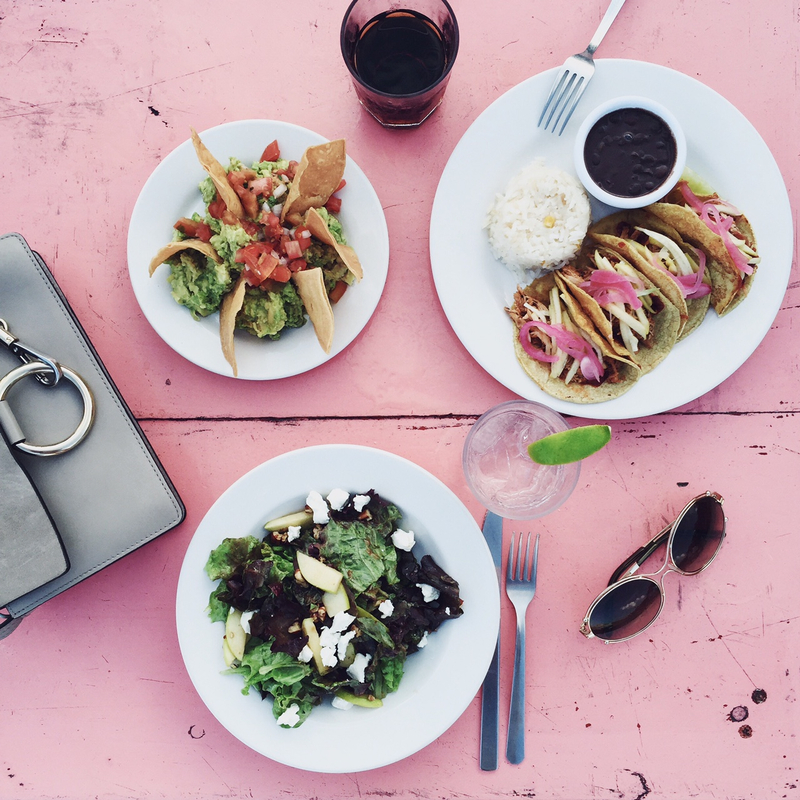 WHAT TO DO: Even though Tulum is quite small, the variety of activities is amazing. 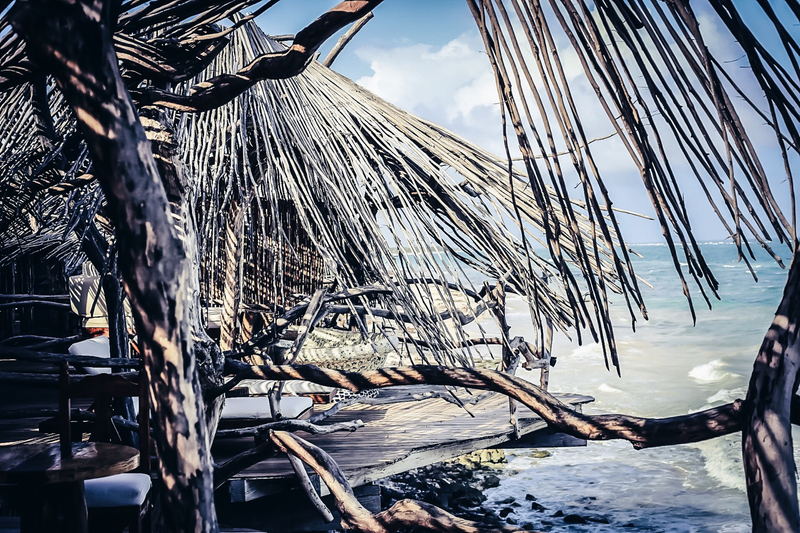 Some MUST SEES are the ruins,and the cenotes but you can also take trips to Akumal, Playa del Carmen or Isla Holbox (to name just a few). Below, you can find my favorite places with pictures and some descriptions. Sometimes I am a little coward, overthinking everything. Before we went to the Azulik hotel, I was a bit nervous. I had seen this place on Instagram and three friends of mine had highly recommended it to me. Still, they had pointed out that it’s a special place and that it’s not a hotel for everyone. I had read some reviews and had seen some comments that pointed out that there was neither electricity nor wifi and, therefore, we had charged everything we had in advance. We felt like true adventure-seeking explorers when we arrived at the Azulik Resort & Spa. Well, apparently I spaced for a while and forgot that I had already survived a night literally on Lake Kao Sok in Thailand, a very uncommon night in an overnight bus in Vietnam, and some truly adventurous nights in a tent on the beach at Kauuai, Hawaii. None of them had the word “Spa” in their names 😉 In the end, the Azulik was not tricky for us at all. The moment I arrived, I got obsessed with this place. The welcome fruit shake was super yumm and our bungalow was one of the nicest places I’ve ever seen. I always loved being free and close to nature. When I was standing on our balcony facing the ocean with the wind blowing at my face, I felt overwhelmed with happiness. There were no lights in the evening and someone lit up candles everywhere in our bungalow so that the place became very dreamy. Every night I fell asleep like a baby and when I woke up I had to pinch myself because we could see the sunrise from our bed and it was just too beautiful to be true. Well, and I won`t even start to talk about what it feels like to have a little mosaic pool and a swing on you balcony – I am sure you can imagine! 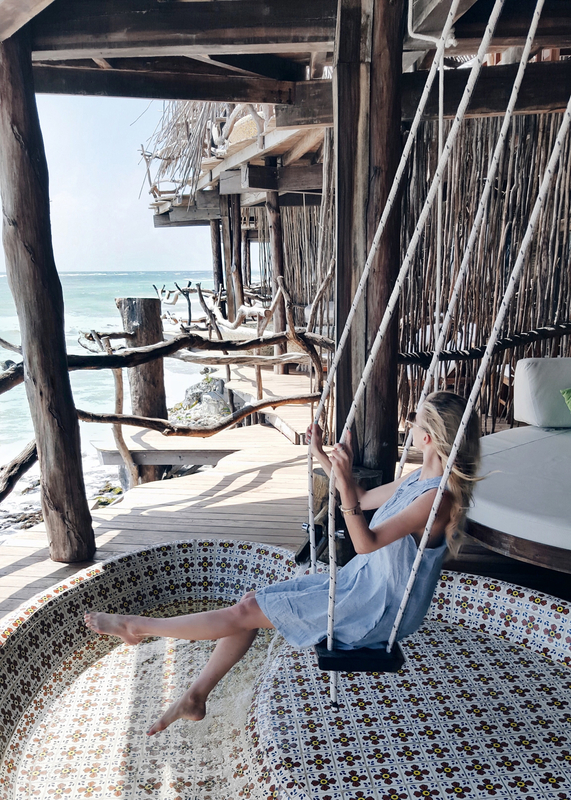 I wouldn’t want to miss a stay at the Azulik hotel because it definitely was part of what made Tulum so special for us. And yes: It was the second time in my life that I felt so homesick after leaving a hotel that we had to come back. We returned to the Azulik for our last night in Tulum and I felt as happy as a kid to have an extra night in this paradise. 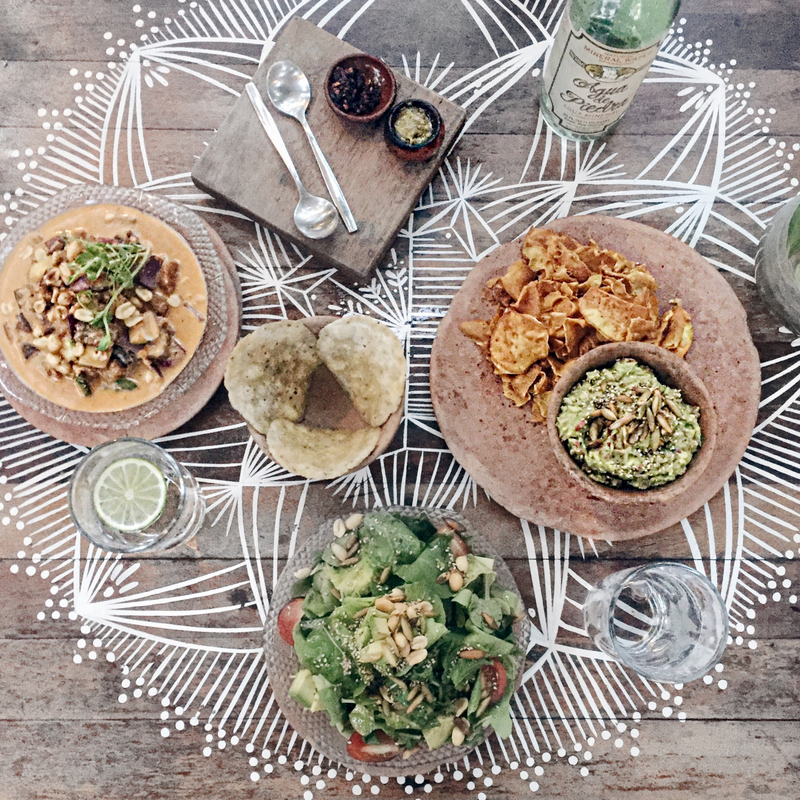 If you love avocado (and in my opinion there really is no “if”) you might be overwhelmed by the delicious Guacamole that they serve in Mexico. For our first dinner we went to the Zamas restaurant and it was my favorite food spot ever. Everything was so colorful. Each and every table and chair had a different color and the hotel next door looked incredibly charming as well. After I had overcome my shock on Tulum`s price level (it’s more NY than Thailand ;)), Zamas made me very happy. I had guaca, avo toast and the best goat cheese salad. We ended up coming back two more times because I just couldn’t get enough of this colorful, fun place. The best thing about Tulum were the cenotes. As a child I was sooo much into animals and for a rather long time bats were my favorite. I mean – Why not? When we arrived at Cenote Dos Ojes I seriously felt as if I was chasing down a Horkrux with Albus Dumbledore. The Cenote was really dark and the water was crystal clear and cold. We arrived super early because we wanted to be there before the place got packed. Cenote Dis Ojes is one of the most famous cenotes near Tulum and we rented a car to get there. It was a 20 minutes ride (and we were driving slowly :)) and we arrived at about 9:15, paid the 200 pesos entrance fee for Cenote dos Ojes and 100 pesos for Cenote Nicte-Ha. Cenote dos Ojes is more like a little park of cenotes than just one big one. 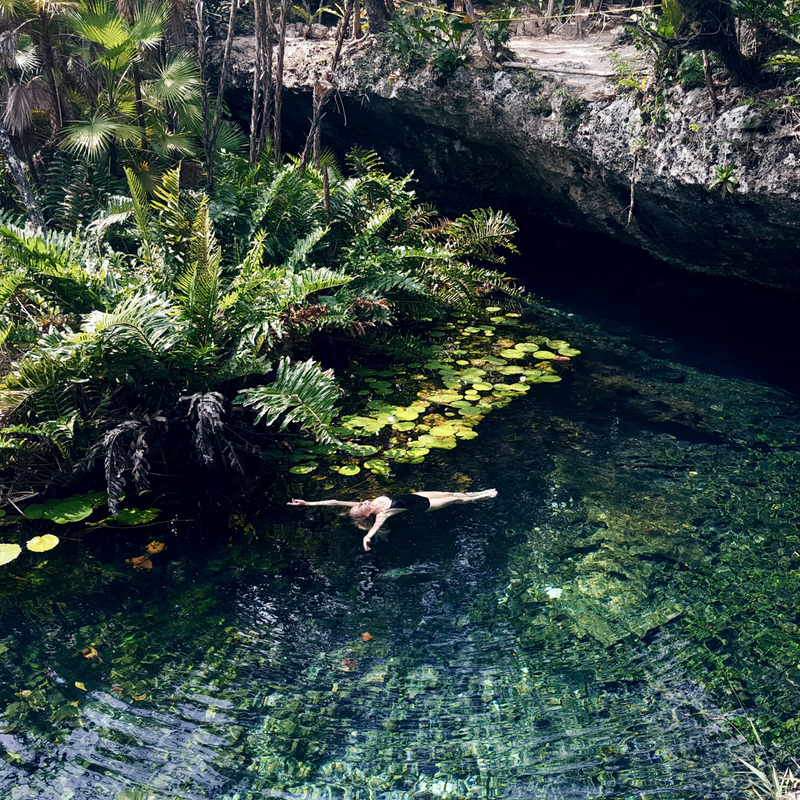 Therefore there are quite a few cenotes to choose from. I loved both Cenote Dos Ojes and Cenote Nicte-Ha. They were so different from each other that you cannot really compare them. While Cenote Dos Ojes felt like living my Harry Potter Horkrux dream, Cenote Nicte-Ha was quite romantic. The latter was very out in the open and covered with beautiful water lilies. The water was really cold but it felt amazing floating in between the lilies none the less. I found Restaurare online. 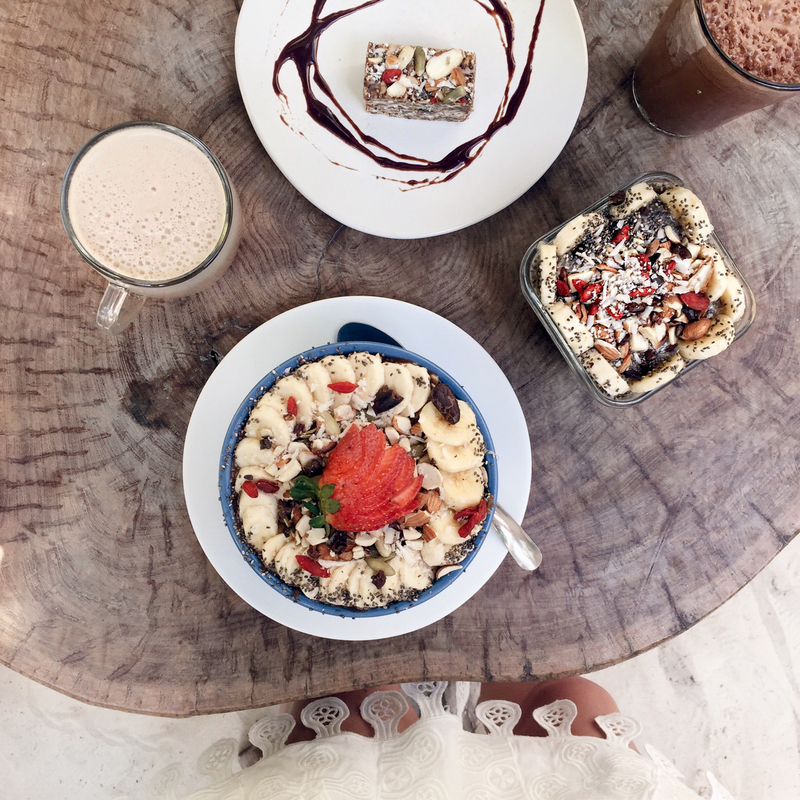 I read it was supposed to be the best vegan place in Tulum and I guess that is true. The whole place was eye-candy and the menu was composed with much love for details. I didn’t understand a single dish without having the waiter explain it to me, though. After we got our dishes we had to keep ordering more because it was soooo good. It was a bit more pricy, but the owners were super cute. You could feel that the restaurant was their dream coming true and I love supporting places like that. Sometimes seeing all the sights at a destination is optional, but visiting the ruins next to the ocean is not. Since Alex and I were staying at the Azulik at the time and couldn’t get enough of floating in our little mosaic pool, we arrived at the Maya ruins super late. When getting the tickets I asked the vendor whether we even had enough time to see everything and he assured us it should be ok. Well, in fact arriving late was the best idea ever. The ruins close at 7 and we arrived at about 6:25. Therefore, we were almost the only ones there and we had it all to ourselves. The ticket price was 200 Pesos per person which is a little more than 10$ and it was totally worth is. The ruins themselves were impressive but combined with the stunning view of the ocean – A truly unforgettable experience. Since we wanted to rent a car to explore the ruins and also drive to Playa del Carmen, we headed to Tulum city. My first impression was not the best. I had looked up some places before we got there but once we hit the main road we directly felt like turning around. However, after we got our car we drove around for a while and ended up enjoying ourselves in Tulum city. 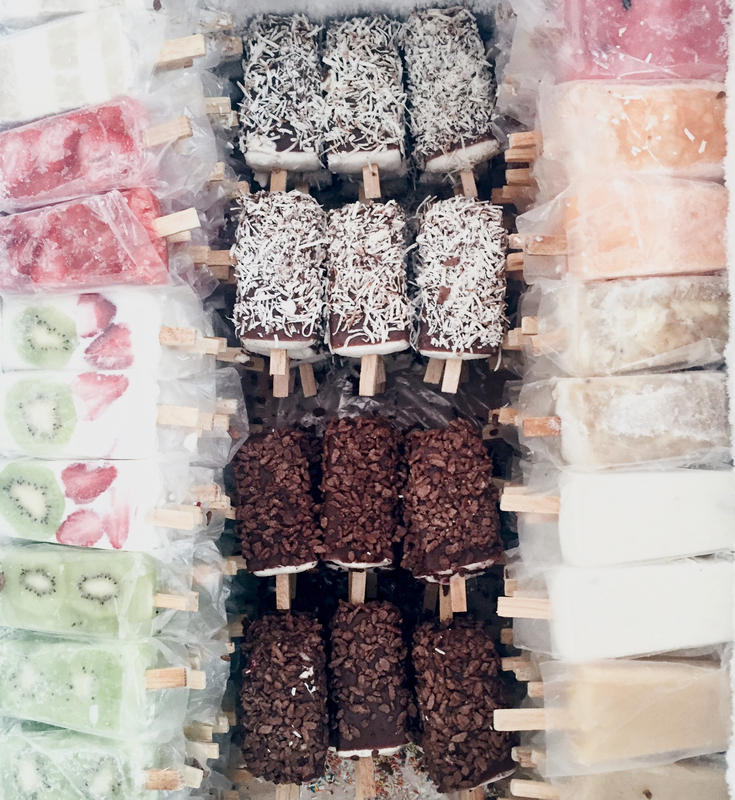 I found a cute little shop which was called La Flor de Michocán and they sold fun popsicles in soooo many flavours. Also we found some cute souvenir shops AND the prices were so much better than in Tulum Beach. 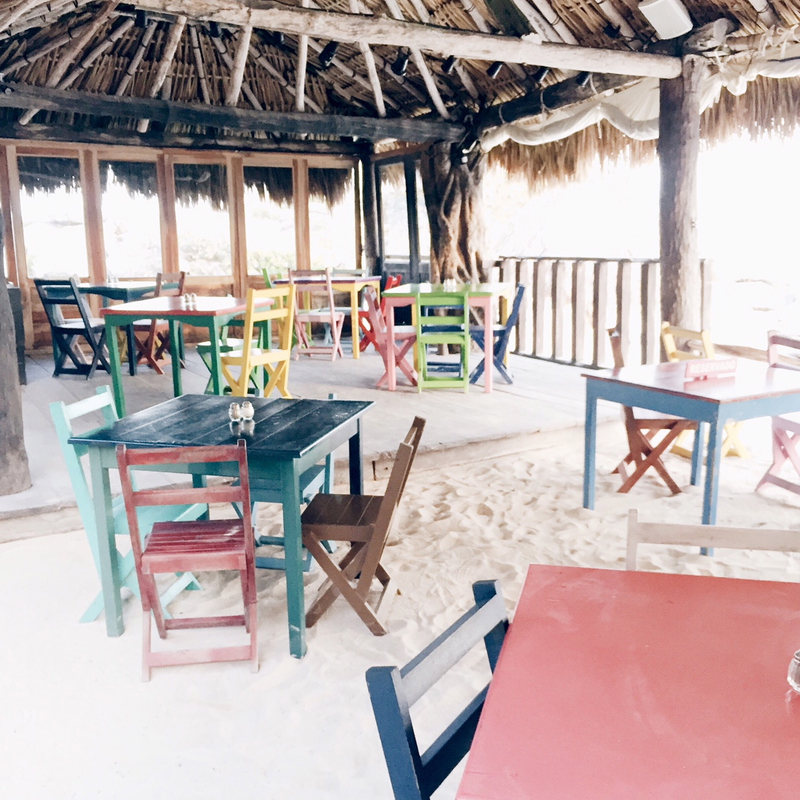 I got a little obsessed with the International School of Tulum, as it was so lively and colorful. A dear follower recommended Charlie’s Vegan Tacos to us and we sure had to visit the place. The restaurant resembled a cool Mexican food truck. Charlie is a former chef who pays much attention to the details – The food was just unbelievable! Also Charlie was super friendly and brought us an amazing variety of foods. He even has tacos with sweet potatoes (yumm)! Everyone recommended Posada Margherita to me and after we have had Mexican food for a few days, I loved the idea of having my favorite cuisine (Italian fooood) for a change. We took a bike and headed to Posada Margherita. When we arrived, I couldn’t believe my eyes. It felt like walking through a booklet for interior design. 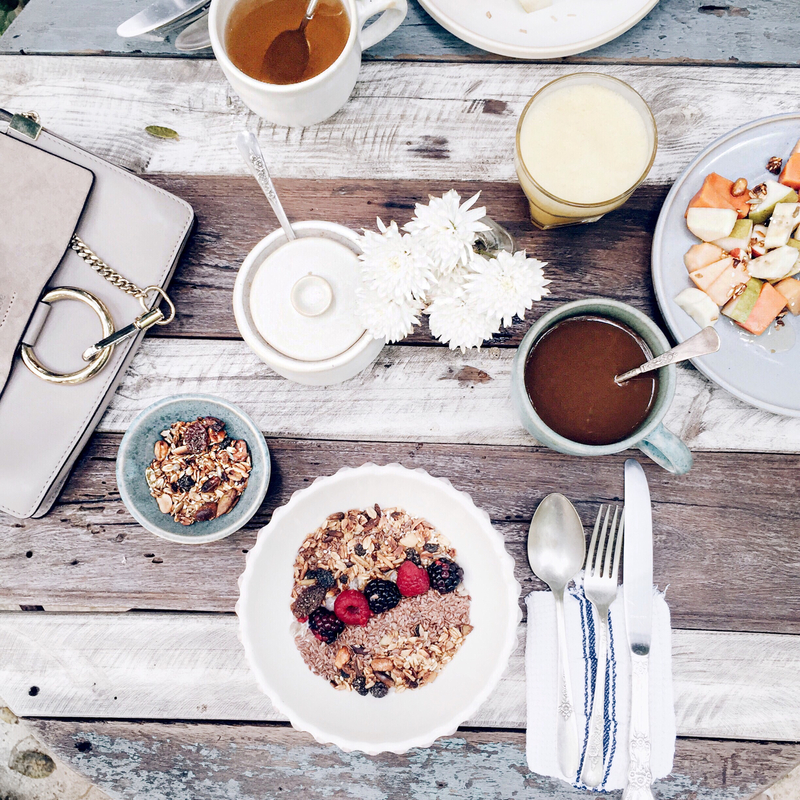 The tables, the beach chairs, and even the kitchen window – Everything was picture perfect. 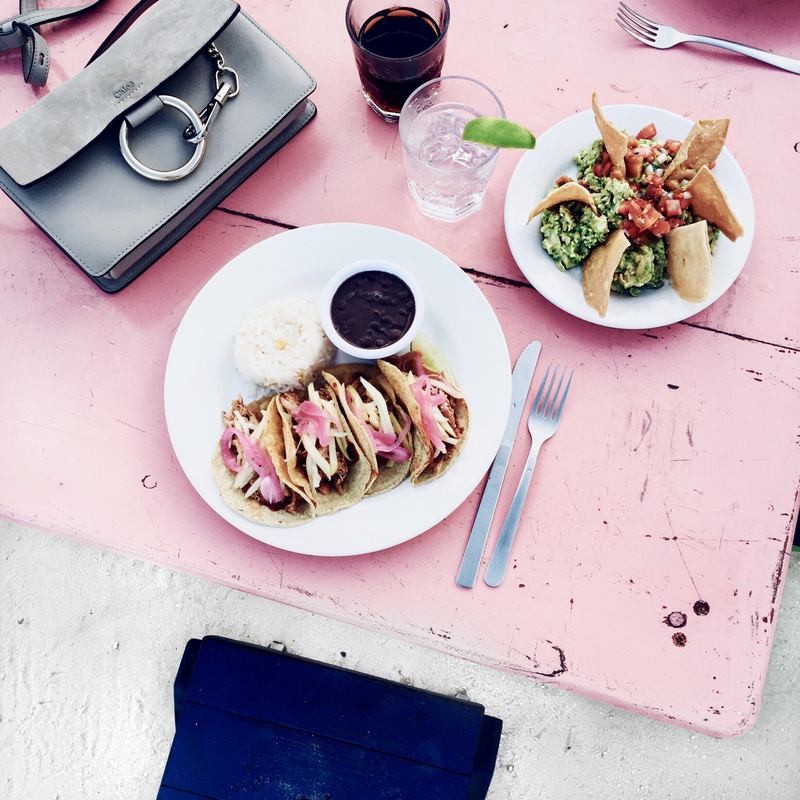 Also, it was the cheapest meal I had in Tulum despite the fact that the food was amazing. 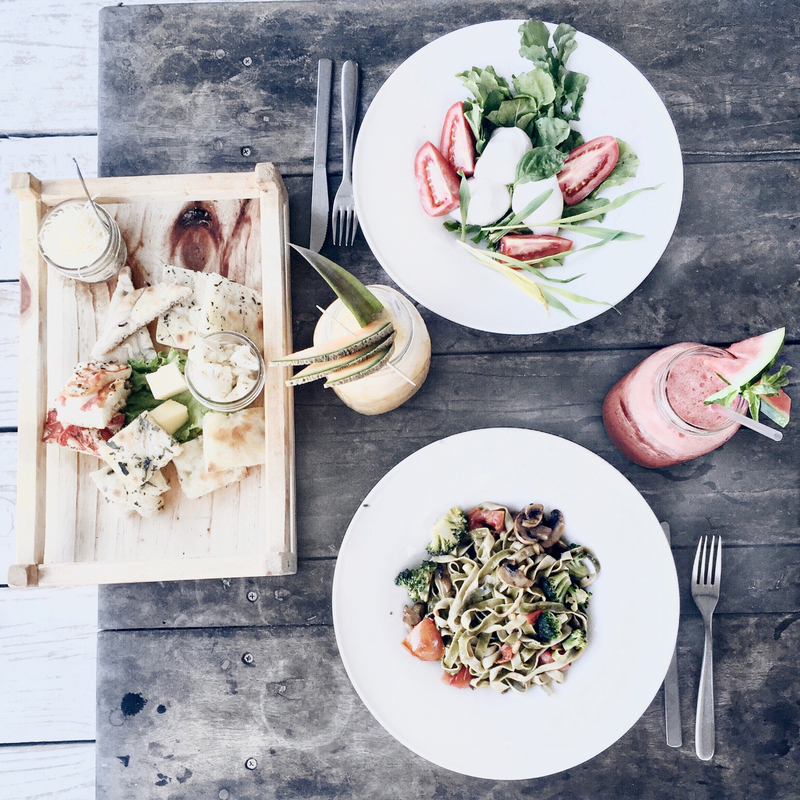 Especially the pasta was super yummy and I found it easy to believe that this was the best Italian place in Tulum. On our way back to Cancun, we scheduled a two night’s stay in Playa del Carmen. 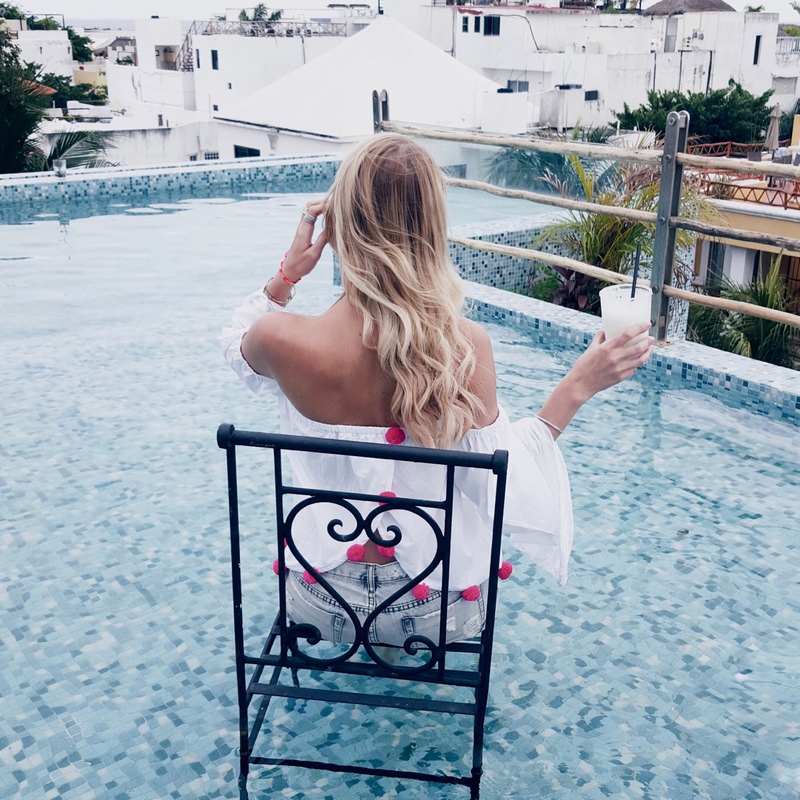 And seriously: the Hotel La Semilla was my favorite thing about Playa del Carmen. The city itself was way more touristy than Tulum with big American chains such as Starbucks, McD and Victoria`s Secret. However, the Hotel La Semilla was nothing like that. The boutique hotel was one of the most picturesque places I’ve ever seen. The lounge at the rooftop, the breakfast area and the rooms – Everything was super adorable and the interior was on point. They also had the yummiest fresh breakfast and they offered bikes to their guests so that we could explore the city. 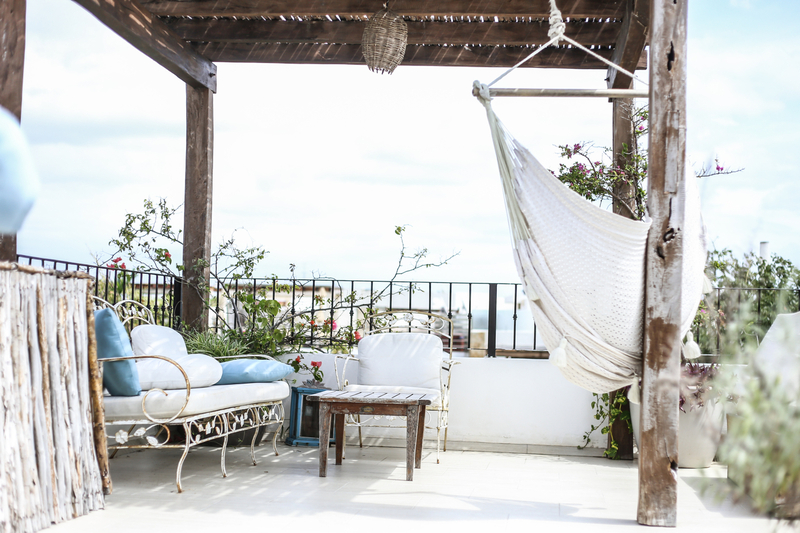 My favorite spot for leisure time in Playa del Carmen was the Be Playa Bar at the rooftop of the Be Playa hotel. It had countless nice seating areas and even a table in the pool. A fun place to hang out. Wirklich schöner Post! Die Bilder sind so schön und inspirierend, dass man Lust bekommt, sofort in den Flieger zu steigen, um in die Sonne zu fliegen. Wahnsinnig schöne Bilder – bin überwältigt !! Thanks for sharing your experience! Your pictures are also very lovely. Das hört sich doch wirklich toll an 🙂 Und nach viel Spaß! Super toller Travel Guide und richtig schöne Bilder. Da würde man am liebsten sofort los fliegen. 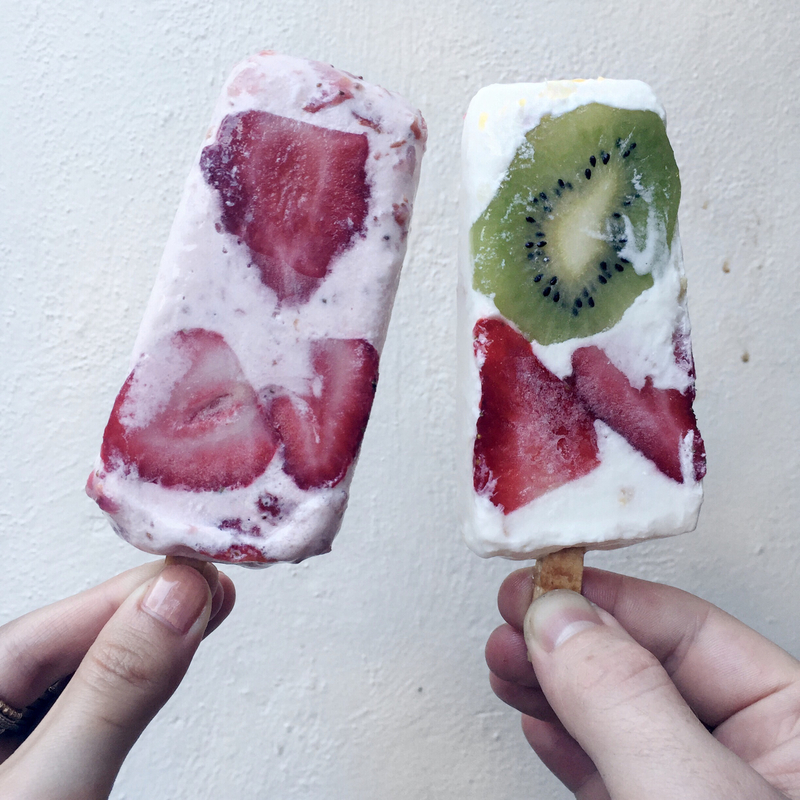 Ahh in love with all your photos and your entire blog! 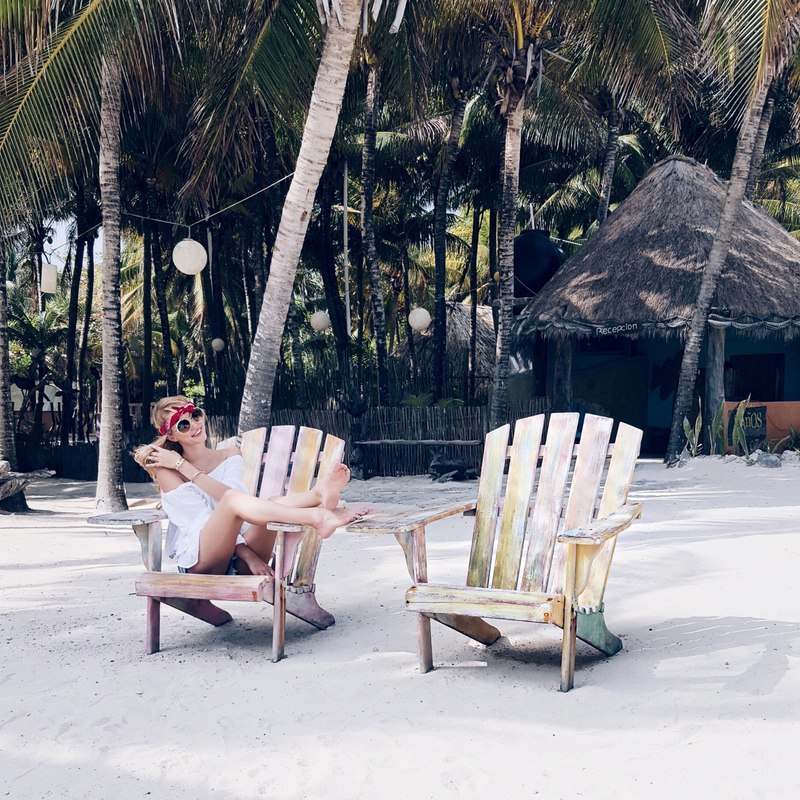 This is my favorite blog to read BY FAR you’re doing a great job and really setting an example for me 🙂 Might go to Tulum next month thanks for all the recommendations! 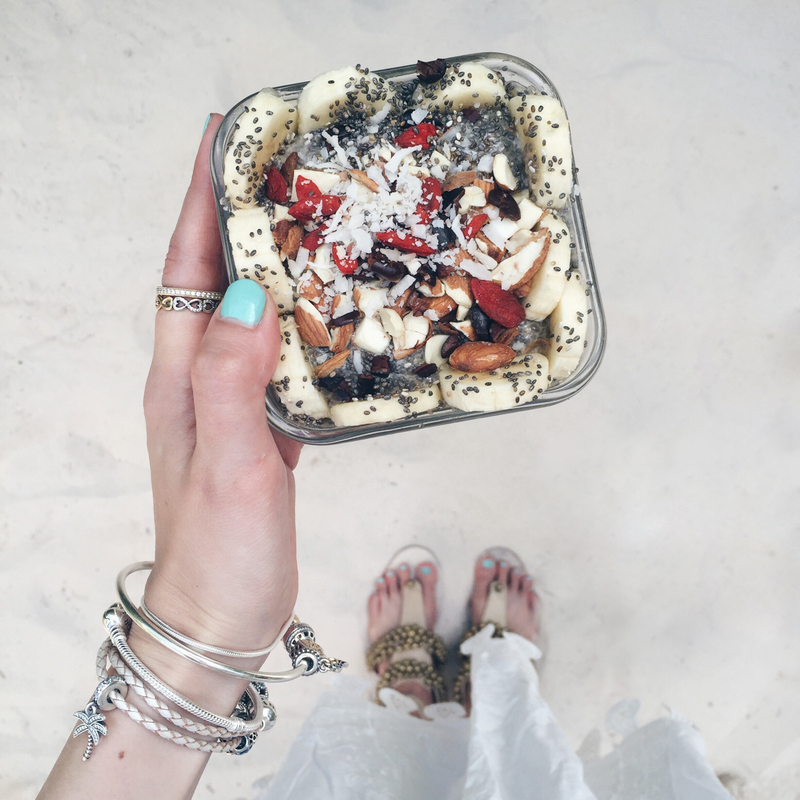 Very beautiful post… I love this blog.